Who Does the Amex Business Platinum Card Appeal to Most? Decision Time: Is the Amex Business Platinum Card Right for You? Your business needs to have a reliable credit card that can help to keep things running smoothly. A good business credit card is perfect for helping you to make frequent purchases that are necessary for your business. Many of these credit cards even offer substantial perks and rewards for being a cardholder. It can be very beneficial to keep a good credit card around whether you are going to use it on a monthly basis or if you only plan on using it infrequently. Taking the time to find the right business credit card for you is not always easy, though. There is an abundance of different credit card options out there to pick from. Knowing this, you might even feel slightly intimidated about finding the perfect match for your business. Luckily, we are here to help you out by examining the Amex Business Platinum Card. This card is known for being a great option for businesses that have a lot of travel expenses but you need to see if it matches up with your needs. This credit card has a lot to offer businesses that travel frequently but is it going to be right for yours? Take the time to read all about the features, benefits, and other pertinent information about this credit card. You will be able to get a clear picture of what this credit card is all about and it will be simple to make a good decision. 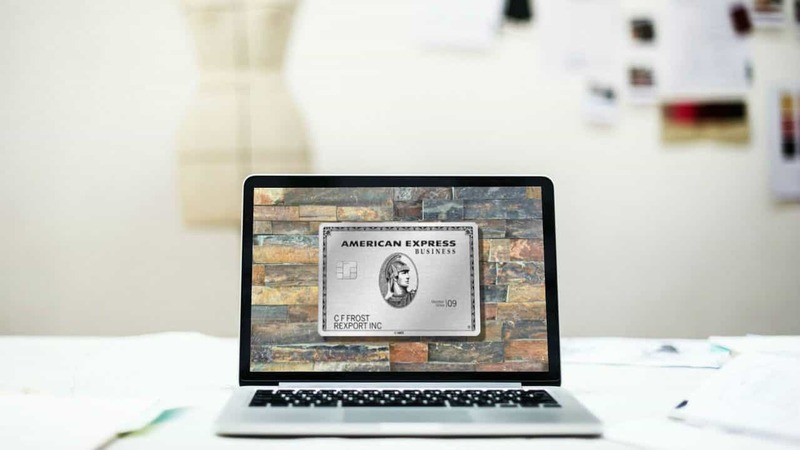 It really does pay to do just a bit of research so join us as we go in-depth with The Business Platinum Card from American Express. You’ll earn up to 50,000 Membership Rewards points after you spend $10,000 in the first 3 months, and another 25,000 Membership Rewards after spending an additional $10,000 in the first 3 months. You’ll earn 5X points on flights booked directly with airlines or through American Express Travel. You’ll earn 5X points on prepaid hotels booked on amextravel.com. Get 35% back when booking a flight with Membership Rewards on a select airline. Two $100 statement credits from Dell annually. If you have many high ticket purchases yearly, this card will earn you a good percentage back. The WeWork membership could be very valuable, if you need a place to work for a year. The prices and fees associated with this credit card may be the one thing that will scare some businesses away. Right away, you need to know that this credit card has a hefty $595 annual fee. This fee is pretty high but it may be justifiable when you consider everything that this card can offer you. Before you make the decision to judge this fee too harshly, you should look into the various benefits that the card will offer you. 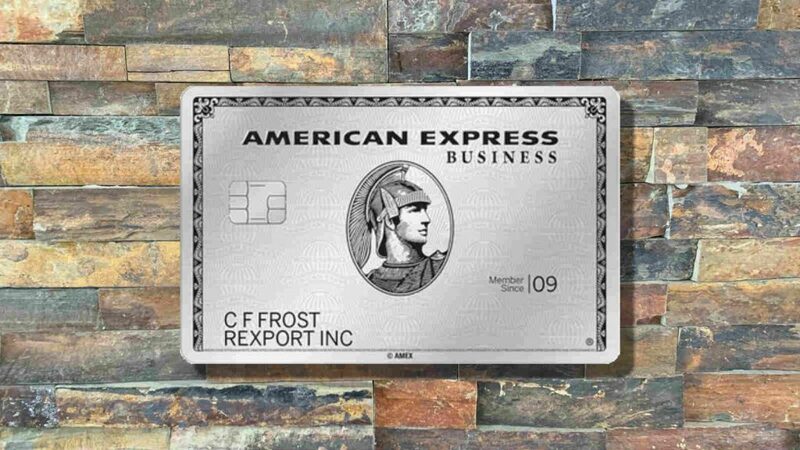 One positive is that you will not be paying out any foreign transaction fees with the Amex Business Platinum Card. It makes it a good credit card to use for businesses that travel abroad frequently. If your business dealings take you outside of the country sometimes, then you will at least not have to deal with foreign transaction fees when you need to make a purchase. It helps to keep your costs a bit lower overall. The late payment fee for this credit card is set at $38 or 2.99% of the amount that is past due. You will have to pay whichever is greater. The returned payment fee is also set at $38. This is all pretty standard and should not negatively impact your opinion of the credit card in any way. You should note that this credit card comes with a pretty good welcome bonus. As long as you spend a certain amount of money in the first three months of being a cardholder, you will earn many bonus points. These points can be used to redeem rewards and will definitely help to offset some of your expenses. Businesses that spend a fair amount of money every month will likely have no trouble meeting the spending requirements to receive the bonus. The reason that many businesses are going to consider making use of the Amex Business Platinum Card is the travel perks. There are several beneficial travel perks that will make your traveling experience that much better. If you wish to have the best possible traveling experience, then it will be worthwhile to sign up for this card. There are so many perks that you might think this is an entirely travel-oriented credit card even though it is not branded in that way. Simply being a cardholder is going to give you access to many premium airport lounges. There are going to be more than 1200 Priority Pass lounges that you will be able to make use of worldwide. If you happen to be flying with Delta Airlines, then you will also be able to access the Delta Sky Club lounges. This will make your business travel more relaxing and will certainly go a long way toward justifying the annual fee of this credit card. You will also be able to receive fee reimbursement for the Global Entry and TSA PreCheck programs. This can make it simpler for you to travel and will save you a lot of time. Applying for these programs costs money but you will be reimbursed for your application fee once every four years. This is a helpful little perk that can make your travel easier than it was before. Cardholders will also be given Gold status with the Hilton Honors program and Marriott. This makes it simpler to boost your rewards potential as you will be earning increased points for the different hotel loyalty programs. You will get many benefits from this status such as room upgrades, breakfast, special check-in times, and more. Those who stay at hotels often will love this perk. You can also receive $200 per year in credits that can be used to pay for airline fees. This is perfect for paying for checked bags and it can also be used to buy drinks on a plane. You have to pick which airline you will be receiving credit for at the beginning of the year. It is a good way to help offset some of that annual fee and will come in handy at many points throughout the year. There are other smaller perks that you will enjoy too. Buying items with your credit card can extend the warranty on products for up to two additional years. You can also receive $200 in statement credits each year toward the purchase of different Dell technology products. All of this comes together to provide you with a very rich benefits program that makes it good to be a cardholder. The rewards program of the Amex Business Platinum Card actually has some pretty good potential for those who use it in the right way. You can earn 5X rewards points when you purchase airfare and prepaid hotel rooms through the American Express Travel website. This is going to maximize your rewards potential and will allow you to earn quite a few points really quickly. All of your other purchases are only going to earn you 1X rewards points. There is a bit of an exception to this rule, though. If you spend over $5000 on a single purchase, then you will be earning 1.5X rewards points on that particular purchase. You can earn up to one million extra points per year, although most would be absolutely unlikely to hit that threshold. Redeeming your rewards can be accomplished in several different ways. You can redeem your earned rewards points for gift cards if that is what you would prefer. The value of redeeming points for gift cards is not great, though. Your best bet is going to be to pursue travel redemptions. When you redeem your earned rewards points toward travel using the American Express Travel website, the points will have a much higher value. It is the most practical option due to the fact that you will be able to receive a 35% rebate. 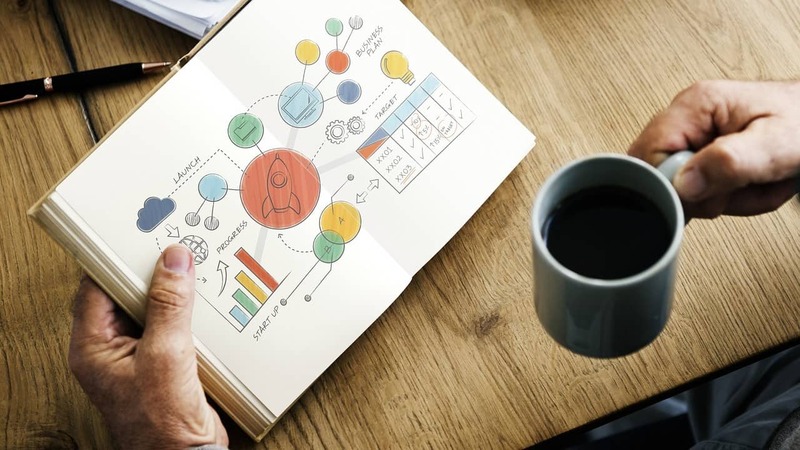 If your business takes advantage of this effectively, then the rewards program becomes a bit more viable than it initially appeared to be. This 35% rebate is only good to be good for one specific airline, though. The good news is that you get to choose which airline that is. This will be the same airline that you choose to get your airline fee credit with. It makes it pretty convenient overall even if there are some other business credit cards with a higher rewards potential. The high rewards rate when you use this card to buy airfare in the right way is going to prove beneficial. You will need to make sure that you are booking flights through the American Express Travel website. As long as you do this, you will be able to really make good use of those rewards points. It can help to provide you with a continuous cycle of points if you travel often enough on business. Lounge access is one of the main reasons to consider applying for this card. If you want to make your travel experience that much nicer, then having access to the lounge will be very beneficial. You can also enjoy the other great perks such as airline fee credit and Gold status with Hilton and Marriott. When you look into the perks, it will immediately become apparent whether or not this card is going to be a good fit for your business. You will also not have to put up with any foreign transaction fees when using this credit card. If your business has to travel to places outside of the United States often, then this is going to be crucial. No one wants to pay pesky foreign transaction fees when he or she does not have to. If you have business dealings abroad, then you can consider this an important positive. The large introductory offer also goes a long way toward making that annual fee feel as if it is less of a big deal. You can obtain the reward for signing up so long as you spend enough money in the allotted time frame. This should not be too tough for most businesses that plan on using this credit card for travel expenses. If you can get the welcome bonus, then it will definitely prove to be useful to you. The annual fee is high. Some cards have higher rewards potential. The reward structure is somewhat complicated. The high annual fee will be the biggest deterrent for many people who are considering applying for this credit card. If you do not want to have to pay a high annual fee for your business credit card, then this may not be the one for you. It is important to weigh the benefits of the card against this fee, though. If you will make use of those airport lounges regularly, then it might be able to easily justify having such a high fee. Combine this with other perks such as the airline fee credit and the fee becomes less of an issue. Some cards do have higher rewards potential than this one does, though. For normal purchases, you will only be getting 1X rewards points. This is pretty lackluster in comparison to many other cards on the market. You have to buy airfare with your card through the American Express Travel website in order to make this card truly worthwhile from a rewards perspective. That leads us to the other negative about the Amex Business Platinum Card. The reward structure is really too complicated for many people. You have to go to certain lengths to get the most out of this card. If you do not want to have to specifically book your travel through the website, then you will not enjoy this card quite as much. The perks are great but the rewards program may only be so-so at best for some businesses. In order to be approved for the Amex Business Platinum Card, you are going to need to have very good credit. If your credit score is at 690 or higher, then you should be able to be approved for this card. This is a fairly high requirement but it makes sense when you consider everything that this card has to offer. It is a premium credit card in many ways, so check your credit score to see if you will qualify ahead of applying for it. 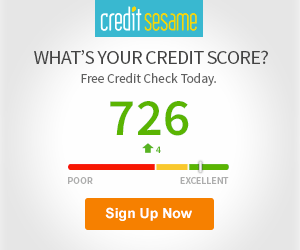 Credit Sesame Price: Free Get your free credit score each month, and monitor your credit report at no cost. We'll also send you monitoring alerts about changes to your credit report. This credit card can actually appeal to several different types of businesses. The most common type of business that takes advantage of this credit card will be one that travels a lot. This credit card offers great travel perks and allows you to earn travel rewards at a good pace. If your business can take advantage of these premium perks and the overall rewards potential of the card, then it becomes even more sensible to sign up. It is also a card that will appeal to businesses who spend a lot of money every single month. If your business has thousands of dollars worth of expenses every month, then you can benefit from charging them to this credit card. It will help you to earn more rewards over time and will simply be useful for your business operations. Businesses that don’t spend money quite as much may not see this credit card as being particularly useful. For some businesses, the Capital One Spark Cash for Business credit card is going to be more worthwhile. This is a flat-rate credit card that offers you 2% cash back on all of your purchases. It does have an annual fee of $95 but it is waived for the first year. Cardholders are able to redeem the cash back rewards at any time when they make use of this card. See our full review of the Capital One Spark Cash. If you are less worried about travel perks than you are about making everyday business purchases, then you should think about this card. The Business Platinum Card from American Express is also a great option but it appeals to a specific demographic. If you need a better general purpose business credit card, then it is easy to recommend the Capital One Spark Cash for Business credit card. Keep both in mind and look into which one will give you a better overall deal. The Amex Business Platinum Card is one of the top-tier credit cards that businesses can make use of. It offers some incredibly useful travel perks while also having great rewards potential. 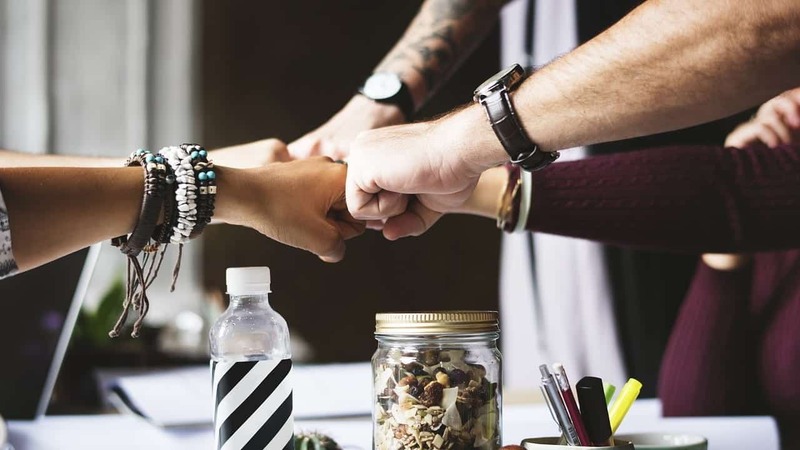 If you need a credit card for your business that can give you a good mix of rewards and perks, then it is an easy decision to sign up for this one. Some businesses may shy away due to the high annual fee but you will likely earn so many rewards that the fee will become a moot point. Simply having the lounge access that is offered by this credit card will be very beneficial. If you travel a lot for your business, then this is among the most practical credit cards that you could sign up for. You will get access to some great perks and will have an overall better traveling experience. Businesses that cannot make good use of the travel benefits may be better off with another credit card. Weigh the positives of this credit card against your spending habits. If things line up right for you, then you will be able to easily justify making use of this card. It is an excellent fit for many businesses and is something that you should not ignore. Keep it in mind when you are looking for your next business travel credit card.